I had a rough Tuesday night. Since I posted an ad selling my old phone, there was this sneaky inquirer who insisted to meet up instead of me shipping the phone to him. I prayed about it and I felt disturbed. For one, this person never gave me his name (I don’t even know if he’s a he or she). Second, even if we’re meeting in a crowded place in the morning, I don’t feel secure at all. So when I decided to call it off, this person started sending me foul SMS… calling me names etc. I replied with respect at first, stating the reason why I feel uneasy meeting up because of the lack of information this person is giving when he already have information of my bank details where he should deposit the payment (as I do not trust myself in distinguishing fraudulent currency to real ones and it’s not just a few hundreds…). He replied to my reason with 3 really bad SMS, I was so furious I wanted to cry. I didn’t reply anymore, screen captured the messages to show a friend and then deleted it. I prayed… really prayed because I was mad and then I was scared. If this person is a part of some big underground or criminal group I might be in trouble cos they have my full name, mobile # and bank acct #. Goodness, what media do to your imagination! It was disturbing. I prayed, and out of fear all I uttered were verses I could remember about the Lord being my fortress, my hiding place, my shield. I don’t even know if they’re really verses or I read them some place else. Then I fell asleep. How often have we knelt down and prayed for God to give us this and that, to grant us our desires and wishes? And how often have we judged God’s faithfulness base on whether He has given in to our desires and wishes? Do we ever realize that most of our prayers, if not all, revolve around asking God to do things for us and grant our wishes, like He is some genie under our command? It is good to realize that, and it is good to stop ourselves whenever we realize we are doing that. Praying with our flesh will lead us to pray for things to satisfy the flesh, but praying with the Spirit will lead us to converse and communicate with God and to pray for things that God desires for us. Today, there is a prayer/sayings of Agur from the book of Proverbs that moved me. 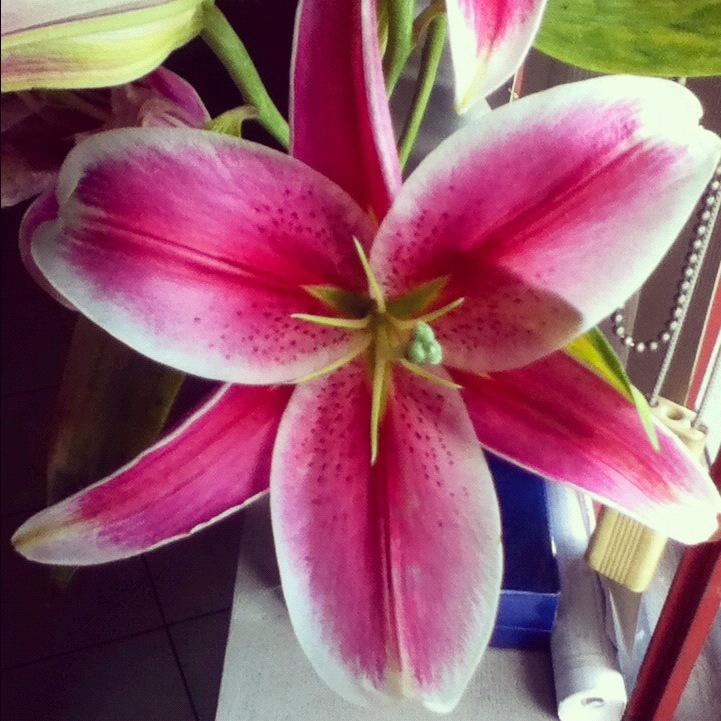 Last Wednesday, I got a Stargazer from the flower market on my way to work. 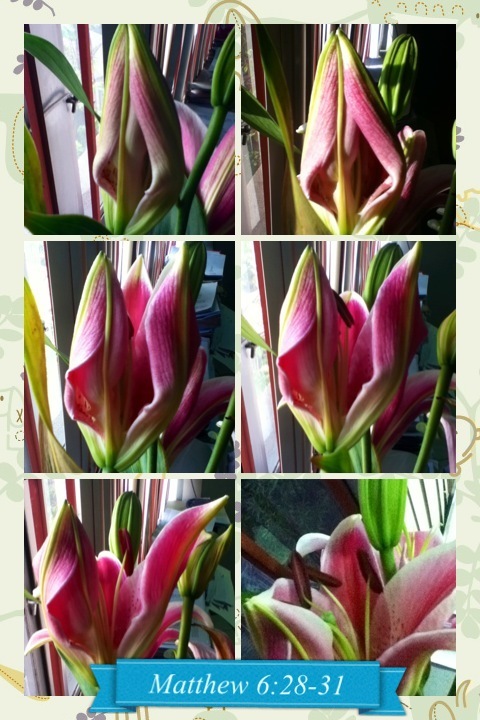 It’s a flower I’ve always wanted to have beside me, cos of it’s wonderful color and fragrance. Little did I know I’d be reminded so much by this lily. More than just appreciating how lovely they are and how nice they smell, they reminded me of life’s brevity, God’s glory, God’s providence, and His amazing grace. As I see a bud opens up, I’m reminded of Matthew 6:28-31. Why worry? See the beautiful flowers in the field, even in the short span of their life, how pretty the Lord has dressed them without them toiling that even Solomon was never dressed as lovely as them. How much more, then, that God will provide for us? It also showed me how these fragile creatures never hold back in showing off their beauty to bring glory to their Maker. 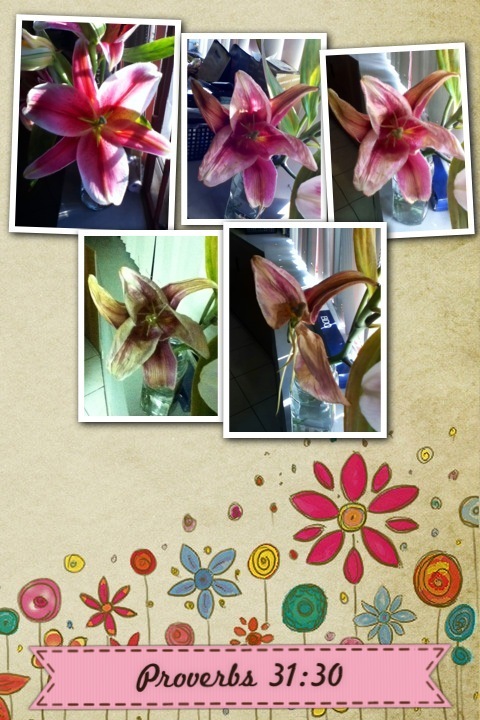 Today, one of the lily has withered and it reminded me of life’s brevity; that beauty is fleeting, what is important is to praise God (Proverbs 31:30); of God’s faithfulness in the frailty of this life (Isaiah 40:8); and the will of the Lord. (James 4:13-16).